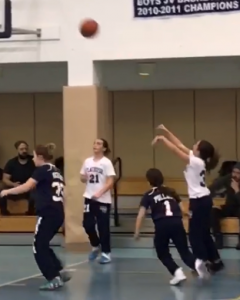 It was a tripleheader day for the Flatbush Middle Division Girls Basketball teams on Sunday (1/7/18) when the 6th, 8th and 7th grade Falcons took on their HAFTR Hawk counterparts at the YoF Elementary School Gym, with Flatbush dropping the first two games before the 7th Grade Girls finally put one in the win column for the hosts in Brooklyn, NY. The 6th Grade teams opened up the day’s contests with a 9:00 am tip off. 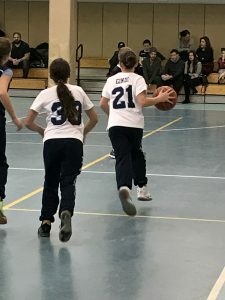 After winning their first game of the season at SSSQ by a wide margin, the Falcons lost their second game last week by 11 points to undefeated Har Torah. They would be taking on a HAFTR team that also defeated SSSQ and lost to YHT. The 6th grade girls came ready to play, and were clearly excited for their home opener. Solid defense kept the game competitive, but it was clear early on that HAFTR was locked in, and their outside shooting was on. Flatbush countered with some great offensive ball movement. Unfortunately, it was not enough to counter the hot shooting of the Hawks. In the end, HAFTR won by a score of 30-12. Renée Franco was outstanding for the Falcons, and was the team’s top scorer with 8 points. Jen Oved was fierce on the boards and on defense. Allie Abraham and Mazie Zalta handled the ball well, creating great plays. 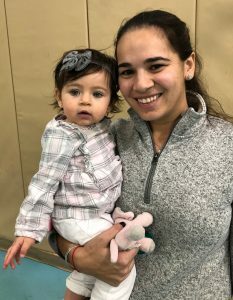 It was a tough loss, but the girls are already looking forward to their next game. The middle game of the afternoon saw the Flatbush and HAFTR 8th Grade Girls face off against each other. The Falcons started the game out strong, and despite trailing for the entire first half they kept the game close and found themselves trailing by only 1 point at the half, 20-19. That all changed in the second half, as HAFTR clearly regrouped and clamped down defensively on the Falcons. The Hawks were relentless under the basket, gathering rebound after rebound and scoring with ease. Flatbush had no answer for HAFTR, as the Hawks won going away, 46-25. 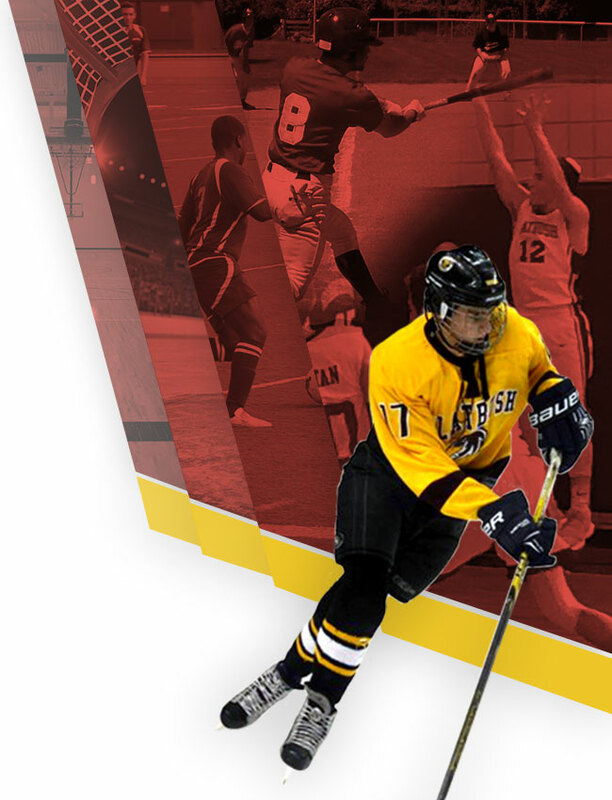 The loss dropped Flatbush to 2-3 on the season. 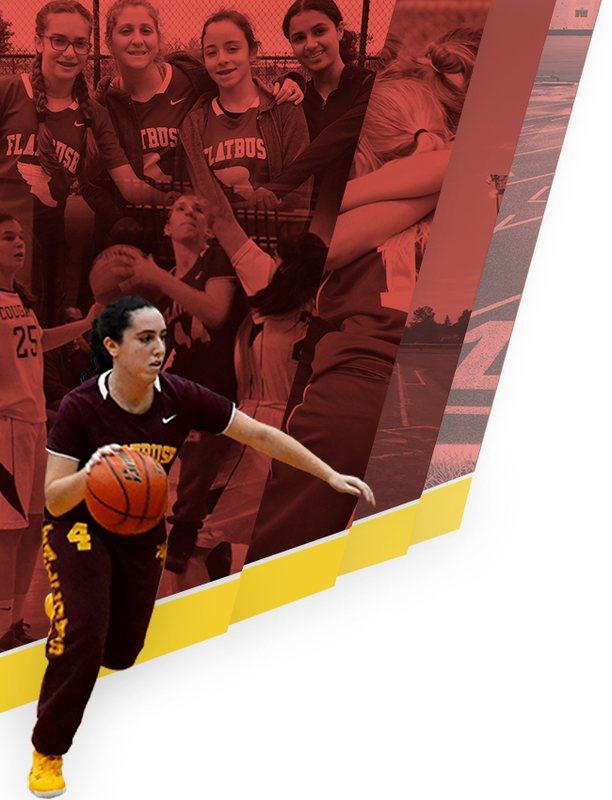 Flatbush was led in scoring by Alexa Greenstein, who had 11 points, and Norma Mattout, who had 10 points. Lynn Franco, Sarah Greenberg and Leah Hamoui were exceptional on defense! The final game of the day was a battle of 7th Grade teams. 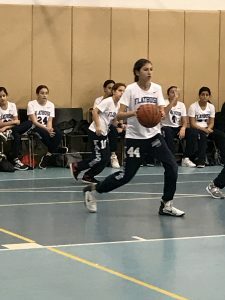 This is the first season the MJDSBL is running competition for just 7th grade teams, and as a result it has afforded both Flatbush’s and HAFTR’s girls overall more opportunities for individuals to play. 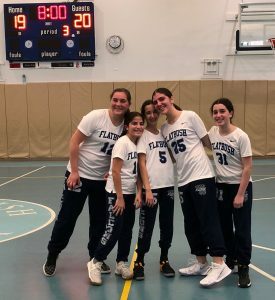 The game started off slow offensively, as both defenses held the other team’s offense scoreless until late in the opening quarter, when Flatbush took a small lead in the game. Once they found their scoring touch, though, it was as if a switch was turned on and Flatbush was just not going to allow it to be turned off! The lead was soon double digits, and the Falcons were off and running! By the end, each player contributed to the big win, as Flatbush won by a final score of 39-20. The defensive effort was keyed by Linda Gindi, Robyn Beyda and Sarah Siri. Offensively, Flatbush was led by scoring machine Danielle Frastai and her backcourt mate Barbara Dweck. Also contributing off the bench was Debroah Sasson who scored 4 points. Head Coach Sylvia Franco was very pleased with the effort on the afternoon, noting “I am so proud of them. Each girl played their hardest, and it was our best game yet!” The win gets the team to the .500 mark on the season, with a record of 3-3, placing them solidly in second place in the division.